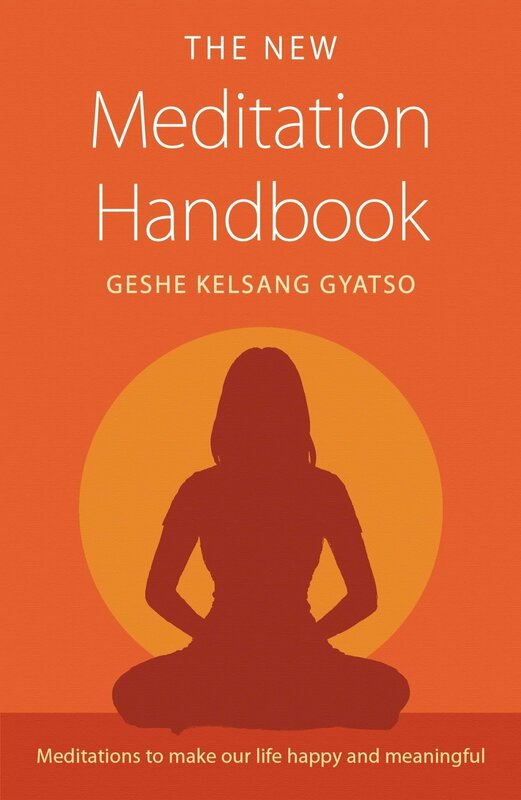 This perennial bestseller is a perfect handbook for daily meditation. Written especially for the modern reader who is trying to incorporate a meditation practice into a busy lifestyle, it guides us through a sequence of 21 meditations, known as lamrim, that lead to an experience of true inner peace. These meditations enrich our lives by helping us to develop special qualities such as mental clarity, kindness, patience, and insight. They empower us to deal positively with any situation we meet, gradually becoming a source of inspiration and joy for others. With more and more people turning to the inner science of meditation to solve life’s problems this book is an indispensable companion. Each of the twenty-one meditation practices has five parts: preparation, contemplation, meditation, dedication, and subsequent practice. The instructions that explain these twenty-one meditation practices are called the “stages of the path”, or “Lamrim”. The realizations of these meditations are the actual spiritual paths that lead us to the great liberation of full enlightenment. The first part, the preparatory practices, prepare us for successful meditation by purifying hindrances caused by our previous negative actions, by accumulating merit (or good fortune), and by enabling us to receive the blessings of enlightened beings. The preparatory practices are very important if we wish to gain deep experience of these meditations. For this purpose, we can begin our meditation with Prayers for Meditation, which can be found in Appendix I. A commentary to these practices can be found in Appendix II. The purpose of the second part, contemplation, or analytical meditation, is to bring to mind the object of placement meditation. We do this by considering various lines of reasoning, contemplating analogies, and reflecting on the meaning of the instructions. It is helpful to memorize the contemplations given in each section so that we can meditate without having to look at the text. The contemplations given here are intended only as guidelines. We should supplement and enrich them with whatever reasons and examples we find helpful. When, through our contemplations, the object appears clearly, we leave our analytical meditation and concentrate on the object single-pointedly. This single-pointed concentration is the third part, the actual meditation. When we first start to meditate, our concentration is poor; we are easily distracted and often lose our object of meditation. Therefore, to begin with, we shall probably need to alternate between contemplation and placement meditation many times in each session. For example, if we are meditating on compassion, we begin by contemplating the various sufferings experienced by living beings until a strong feeling of compassion arises in our heart. When this feeling arises, we meditate on it single-pointedly. If the feeling fades, or if our mind wanders to another object, we should return to analytical meditation to bring the feeling back to mind. When the feeling of compassion has been restored, we once again leave our analytical meditation and hold the feeling with single-pointed concentration. Both contemplation and meditation serve to acquaint our mind with virtuous objects. The more familiar we are with such objects, the more peaceful our mind becomes. By training in meditation, and living in accordance with the insights and resolutions developed during meditation, eventually we shall be able to maintain a peaceful mind continuously, throughout our life. More detailed instructions on the contemplations and on meditation in general can be found in Transform Your Life and Joyful Path of Good Fortune. At the end of each session, we dedicate the merit produced by our meditation towards the attainment of enlightenment. If merit is not dedicated, it can easily be destroyed by anger. By reciting the dedication prayers sincerely at the end of each meditation session, we ensure that the merit we created by meditating is not wasted but acts as a cause of enlightenment. The fifth part of each meditation practice is the subsequent practice. This consists of advice on how to integrate the meditation into our daily life. It is important to remember that Dharma practice is not confined to our activities during the meditation session; it should permeate our whole life. We should not allow a gulf to develop between our meditation and our daily life, because the success of our meditation depends upon the purity of our conduct outside the meditation session. We should keep a watch over our mind at all times by applying mindfulness, alertness, and conscientiousness; and we should try to abandon whatever bad habits we may have. Deep experience of Dharma is the result of practical training over a long period of time, both in and out of meditation. Therefore, we should practise steadily and gently, without being in a hurry to see results.